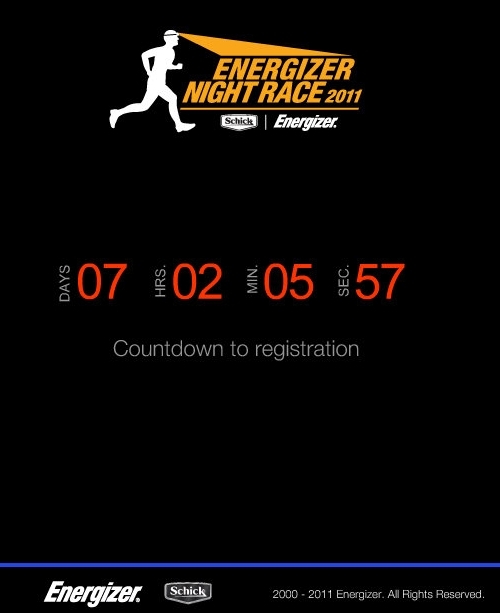 Today, Energizer Night Race Malaysia (ENR) uses a different kind of channel to announce the up coming Energizer Night Race 2011 via social media Facebook today at 10.00am. Guess what, a lots of responds and this successfully attract a lots of interest to register the night race. 7 days to go for the registration! Are you feel excited about the Night Race?